Do you know how many ways can you be tracked? Since the children play Hyde and Seek games, there are so many places where they are hidden so it becomes difficult to find them. But today, through the technology, the world has become so small that it is difficult to hide from anyone. This location-tracking technology is being used in many places, such as monitoring the property and preventing inventory loss. Despite the fact that you can not hide from the services coming to contact on the web (except for the use of TOR or VPN). So it is very important for you to know which methods they can be tracked. This type of knowledge, in the end, will enable you to make better decisions about your privacy. Take a look to know everything about some of the most popular technologies to track someone's location through your mobile phone. GPS tracking is the most widely used technology. GPS technology works on 24 satellites which roam around the earth and send radio signals to the receiver, which are used for recording and transmitting the location coordinates. To collect accurate information, the receiver must be connected to at least three satellites. GPS not only tells the precise location of the device but also the history of navigation. One thing separates this technology from other tracking technologies, and it is that it gives maximum accuracy, whose range is only a few meters. However, there are also some limitations to it. First of all, it can detect location only on the GPS-enabled device. Second, it is affected by bad weather. Third, it can not work in basements and tunnels. What is GPS? How does this work? The Wi-Fi Positioning System (WPS) is a term used to disburse Wi-Fi-based location systems. However, other companies like Google, Apple, and Microsoft use GPS to determine the Wi-Fi network, which can only be used to find someone's location based on Wi-Fi. Wi-Fi tracking uses a Wi-Fi hotspot or access point to track the location of the device. In the US alone, there are more than 72,000 Wi-Fi access points, which are growing at an annual rate of 40%. Wi-Fi tracking is less accurate than GPS tracking. Its acreage can vary from 20 to 30 meters. But the positive thing about this tracking technology is that it works well within the home. In addition, Wi-Fi signals are not affected by weather conditions. But like GPS, there are some drawbacks to Wi-Fi tracking too. First of all, it requires a Wi-Fi signal to work properly. Second, it does not work until the Wi-Fi hotspot database is updated after regular intervals. If your phone has a SIM card, it is always connected to a cell tower within 45 miles (~ 70 km). Once the app gets the identification number of that tower (its cell ID), it can tell where you are in the world. It does not matter if your mobile is connected to the internet or not. 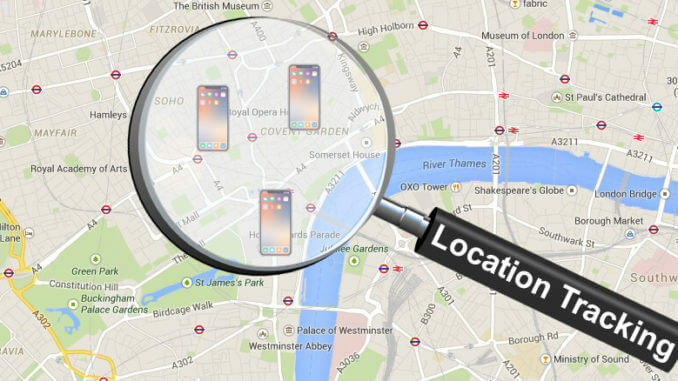 GSM or cell tower-based tracking is an effective way to monitor the location of smartphones. Unlike GPS or Wi-Fi tracker, GSM does not need anybody to track the location. In this, every device connected to a cell tower can easily be tracked. Apart from this, it is faster than the two top tracking locations. There are some drawbacks in GSM tracking, first of all, to track it, depending on the number of cell towers around the precursor device, its precursor differs from a few miles to 50 meters.